This book deals with the Jewish engagement with blood: animal and human, real and metaphorical. 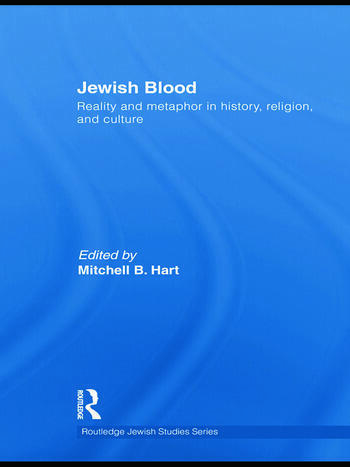 Concentrating on the meaning or significance of blood in Judaism, the book moves this highly controversial subject away from its traditional focus, exploring how Jews themselves engage with blood and its role in Jewish identity, ritual and culture. With contributions from leading scholars in the field, the book brings together a wide range of perspectives and covers communities in ancient Israel, Europe and America, as well as all major eras of Jewish history: biblical, Talmudic, medieval and modern. Providing historical, religious and cultural examples ranging from the "Blood Libel" through to the poetry of Uri Zvi Greenberg, this volume explores the deep continuities in thought and practice related to blood. Moreover, it examines the continuities and discontinuities between Jewish and Christian ideas and practices related to blood, many of which extend into the modern, contemporary period. The chapters look at not only the Jewish and Christian interaction, but the interaction between Jews and the individual national communities to which they belong, including the complex appropriation and rejection of European ideas and images undertaken by some Zionists, and then by the State of Israel. This broad-ranging and multidisciplinary work will be of interest to students of Jewish Studies, History and Religion. Mitchell B. Hart is an associate professor of Jewish history at the University of Florida in Gainesville. He is the author of The Healthy Jew: The Symbiosis of Judaism and Modern Medicine (2007) and Social Science and the Politics of Modern Jewish Identity (2000). He is currently at work on a reader about Jews and race.